In the contemporary United States, matters of life and health have become key political concerns. Important to this politics of life is the desire to overcome racial inequalities in health; from heart disease to diabetes, the populations most afflicted by a range of illnesses are racialized minorities. The solutions generally proposed to the problem of racial health disparities have been social and environmental in nature, but in the wake of the mapping of the human genome, genetic thinking has come to have considerable influence on how such inequalities are problematized. 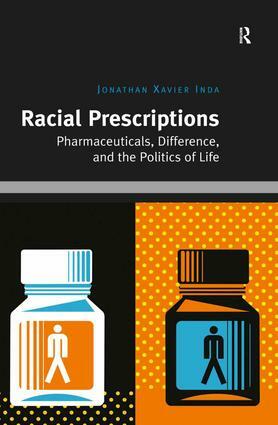 Racial Prescriptions explores the politics of dealing with health inequities through targeting pharmaceuticals at specific racial groups based on the idea that they are genetically different. Drawing on the introduction of BiDil to treat heart failure among African Americans, this book contends that while racialized pharmaceuticals are ostensibly about fostering life, they also raise thorny questions concerning the biologization of race, the reproduction of inequality, and the economic exploitation of the racial body. Engaging the concept of biopower in an examination of race, genetics and pharmaceuticals, Racial Prescriptions will appeal to sociologists, anthropologists and scholars of science and technology studies with interests in medicine, health, bioscience, inequality and racial politics.